There is always a warm welcome for you at the Tremont from the owner Christine Edwards and her staff. 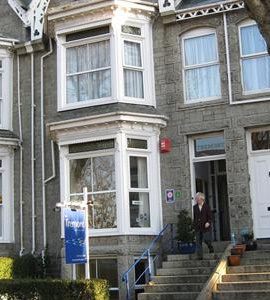 There are a choice of tastefully furnished twin, double or single rooms, all ensuite, with flat screen, digital television, hairdryer, Wifi and complementary Fairtrade tea and coffee; soap and shower gel are sourced locally from Pure Nuff Stuff. 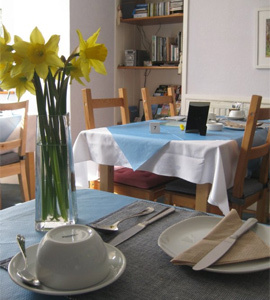 The spacious breakfast room is situated on the lower ground floor where breakfast is served daily. Wherever possible food is bought or sourced locally for freshness, Fairtrade, sustainability and to keep “food miles” to a minimum. Cooked breakfasts are cooked to order so you can choose all or a selection of whatever you fancy!